Did an apartment security lapse contribute to the shooting of a 4-year-old boy? Apartment security measures are in question after a 4-year-old boy was shot and injured inside his grandmother’s King’s Row apartment home Tuesday night, May 15, 2018. 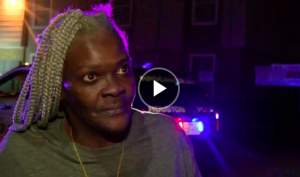 According to ABC 13, a gun fight broke out at the “King’s Row apartment complex in the 4100 block of Barberry just after 9:30 p.m.” A stray bullet flew into an apartment where a grandmother was watching television with her grandson. The young boy was rushed to Texas Children’s Hospital in critical condition. Did negligent security contribute to this senseless Houston apartment shooting? We represent individuals and families who have suffered a tragic loss or injury as a consequence of negligent property security. Read Our Legal Take below to find out if the young victim and his family may have a legal avenue for justice and claims for substantial compensation in Texas, or call now for a free consultation with our legal team: 888.842.1616. 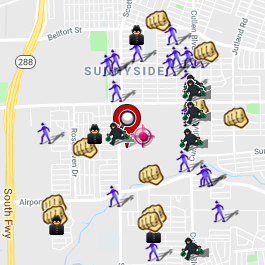 Recent crime reports, from Spotcrime.com, reveal a staggering number of assaults and shootings in the surrounding area. What additional security measures, such as gated-entry, fencing, surveillance cameras, bright lighting, and security patrols, were implemented by the apartment owner to deter crime and protect residents following media reports of prior violence on and near property? Generally, property owners are required to protect all those legally on the premises from any foreseeable harm. Should the facts of this matter reveal that the apartment complex owner or managment failed to provide adequate security to protect those on its premises, the young victim and his family may seek justice and elect to pursue legal claims for his injuries.